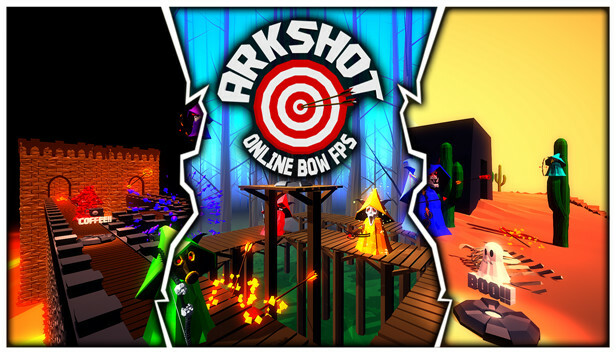 Arkshot combines the fluidity and skill of an arena shooter with the lighthearted fun of a party game. It's Quake meets Duck Game. 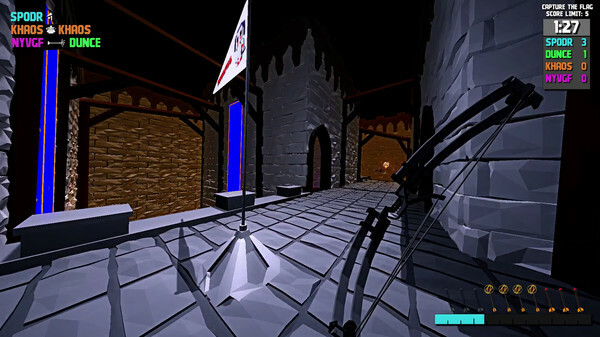 Unreal Tournament meets Smash Bros.
Armed with only a bow and arrow, challenge up to 3 of your friends on 14 unique maps, with 5 gamemodes to choose from. 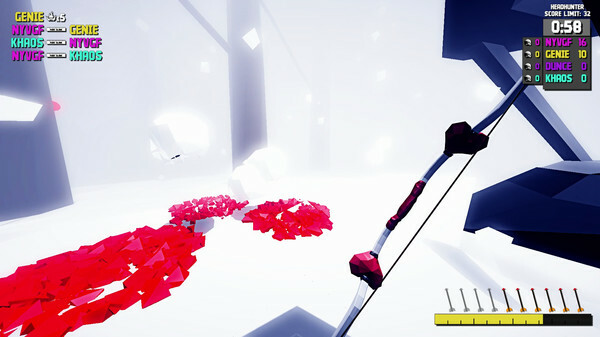 Grab powerups to gain an advantage over your opponents and become the master of the arc shot. Don't forget to customize your character with unlockable masks, bows, and taunts to make yourself a foe your opponents will never forget. 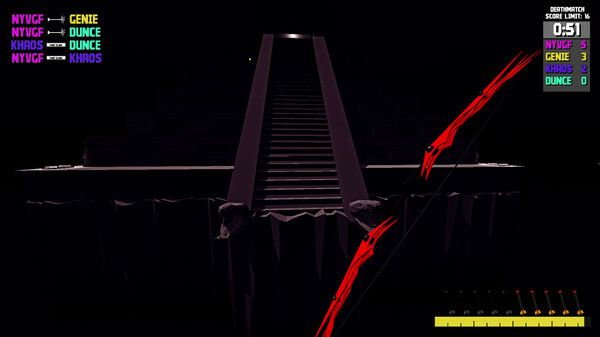 - Ballistically-modelled arrow physics that offer a unique challenge to the jaded palette of FPS gamers. - Wildly differing level structures that are anything but your typical maze of brown corridors. 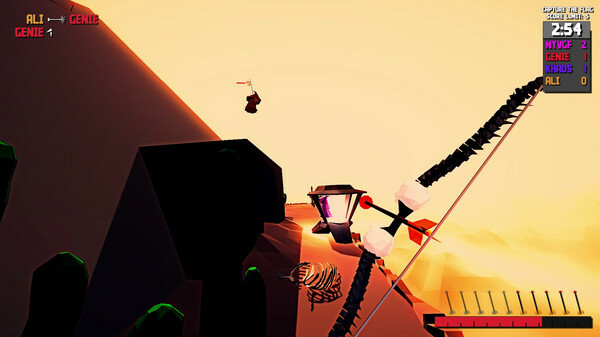 - A plethora of game-changing powerups, such as bouncing arrows, decoys, a reflective bubble shield, caffeinated coffee booster and pusher arrows. 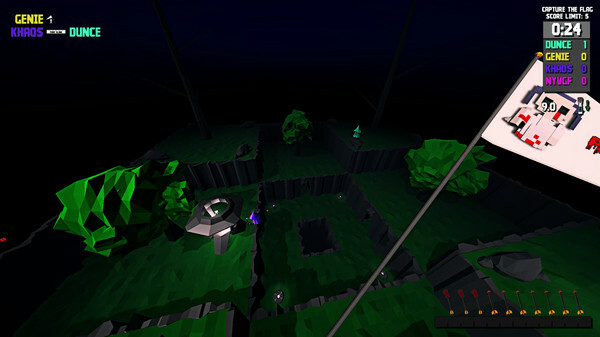 - Latent tactics and emergent strategies that reward inventive players. - A Stamina system where actions such as jumps, dashes and drawing back the bow all cost effort and require canny management. 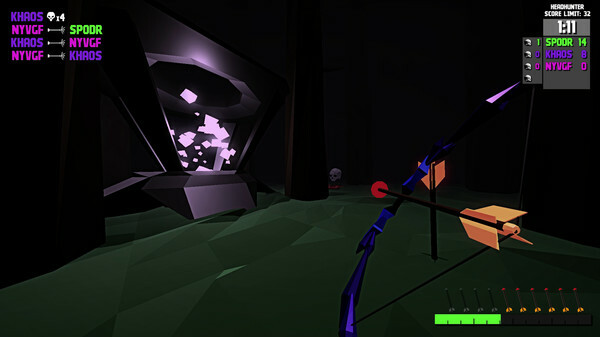 - Sky Arrows that rain down on campers, denying them the option to skulk like wimps in hidey-holes. - Hooded characters that have no feet and just float along, eerily.